Every year the Department of Human Services (DHS) determines the average monthly cost of nursing home care — which in 2012, was $7,032.00. While this number, also known as a Divestment Divisor, may seem irrelevant to most individuals, it is a figure that anyone considering long-term care should know. Additional information about the Divestment Divisor can be found in the Bridges Eligibility Manual (BEM) by clicking here. Our office uses this number to plan for every Medicaid application we file. It is important to know that if you have gifted, transferred title or added any names to any asset, DHS will be interested in knowing the amount and the date of the gift. Then, if the gift or transfer took place within the past 5 years, DHS will use this Divestment Divisor to determine the length of the penalty created from the gift. The penalty is a period of ineligibility for Medicaid. For example, John Smith transferred $50,000.00 over the past five years to his son in $10,000.00 increments to take advantage of tax-free gifting. His first transfer of $10,000.00 took place on December 2007. In July of 2012, John Smith suffers a stroke and requires skilled care 24-hours a day in a nursing home. 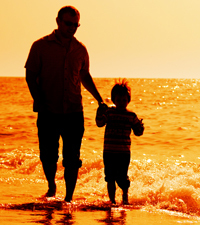 When he files the Medicaid application, he must disclose the gifts to his son over the past 5 years, which — valued at $50,000.00 — would preclude him from Medicaid benefits for 7 months. Now imagine if John Smith had done this same gifting process for each of his 4 children. That would equal $200,000.00 in gifts — delaying the start of his Medicaid benefits for 28 months. This is significant because the private pay cost of a skilled nursing facility varies from $7,000.00 to $9,000.00 per month. If the same individual had Medicaid benefits covering the cost of his long-term care, the cost of the same facility and the same care would be his monthly income, minus $60.00. So, if John Smith had total income of $2,000.00 per month, the cost of care would be $1,940.00 per month. All of this assumes that John’s resources are below the $2,000.00 asset cap, plus a house, household goods, a vehicle and a prepaid funeral contract. It most cases, there will still be countable assets in the estate over $2,000.00 that will postpone the start date for Medicaid and the penalty. According to Medicaid Law, the penalty, once established, does not begin to run until the Medicaid applicant is otherwise Medicaid eligible. While there are many things to consider when transferring wealth, one specific issue is seldom addressed — the effects of gifting on long-term care benefits? 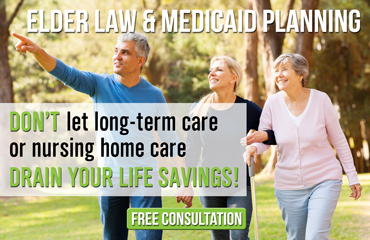 Before any substantial gifts are made, the Medicaid attorneys at The Elder Law Firm PC urge you to consult with an experienced Elder Law Attorney to address that specific question. Our office offers FREE No-Obligation Consultations in order to assist individuals with understanding all of the options that are available to them.